Is Allegheny Technologies Incorporated (ATI) A Good Stock To Buy? The 700+ hedge funds and money managers tracked by Insider Monkey have already compiled and submitted their 13F filings for the third quarter, which unveil their equity positions as of September 30. We went through these filings, fixed typos and other more significant errors and identified the changes in hedge fund positions. Our extensive review of these public filings is finally over, so this article is set to reveal the smart money sentiment towards Allegheny Technologies Incorporated (NYSE:ATI) . Is Allegheny Technologies Incorporated (NYSE:ATI) a marvelous investment right now? Investors who are in the know are genuinely actually taking a pessimistic view. The number of bullish hedge fund investments went down by 4 recently. ATIwas in 13 hedge funds’ portfolios at the end of September. 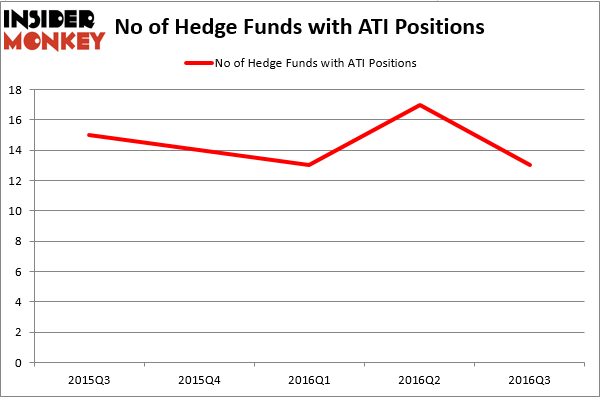 There were 17 hedge funds in our database with ATI positions at the end of the previous quarter. The level and the change in hedge fund popularity aren’t the only variables you need to analyze to decipher hedge funds’ perspectives. A stock may witness a boost in popularity but it may still be less popular than similarly priced stocks. 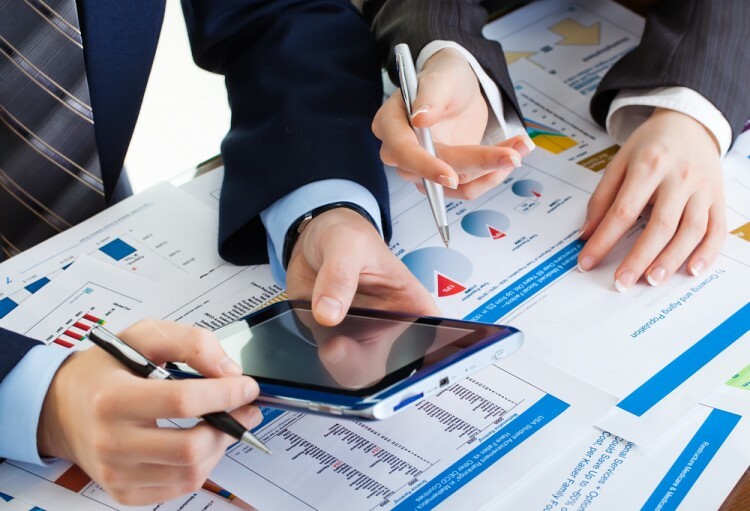 That’s why at the end of this article we will examine companies such as International Bancshares Corp (NASDAQ:IBOC), SolarCity Corp (NASDAQ:SCTY), and Cohen & Steers, Inc. (NYSE:CNS) to gather more data points. How have hedgies been trading Allegheny Technologies Incorporated (NYSE:ATI)? At Q3’s end, a total of 13 of the hedge funds tracked by Insider Monkey held long positions in this stock, a drop of 24% from the second quarter of 2016. Below, you can check out the change in hedge fund sentiment towards ATI over the last 5 quarters. With hedgies’ capital changing hands, there exists an “upper tier” of key hedge fund managers who were upping their holdings meaningfully (or already accumulated large positions). When looking at the institutional investors followed by Insider Monkey, Water Street Capital, led by Gilchrist Berg, holds the most valuable position in Allegheny Technologies Incorporated (NYSE:ATI). Water Street Capital has a $86.7 million position in the stock, comprising 3.3% of its 13F portfolio. The second largest stake is held by Royce & Associates, led by Chuck Royce, which holds a $22.5 million position. Other peers that hold long positions contain Renaissance Technologies, one of the largest hedge funds in the world, D. E. Shaw’s D E Shaw and Israel Englander’s Millennium Management. We should note that none of these hedge funds are among our list of the 100 best performing hedge funds which is based on the performance of their 13F long positions in non-microcap stocks.